Fantasy author Cathrynne M. Valente describes a day spent searching for coffee in Augusta, Maine. I thought Tulsa had problems, but we have plenty of Starbucks and no (known) axe-murderers buried under any of our cross-roads, so at least we’re two up on Augusta. 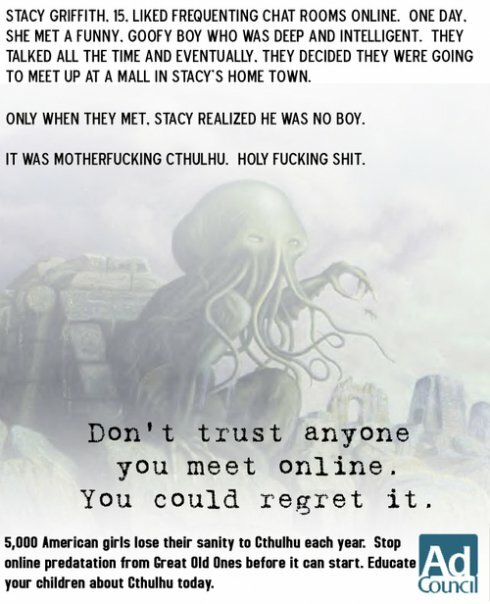 Don’t trust anyone you meet online (via Wil Wheaton). Both of these are potentially NSFW due to F-bombs.